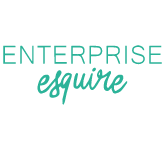 At Enterprise Esquire, we often work with small businesses and start-ups to get these new enterprises off the ground. From the very beginning, we work with entrepreneurs and business owners to help them make smart choices for their business. Getting the business structure right from the start is one of the best ways to set your business up for success. In most states, there are no specific requirements for LLCs with regard to ownership, organizational structure, or operations. LLCs can be owned and operated by any number of owners (called members, in the LLC context), and members can be individuals, corporations, or other LLCs. Members can own the LLC in any proportions that they choose, and there are no specific requirements with regard to paperwork, annual meetings, or reporting. Corporations, on the other hand, are required to assign officer roles, hold annual meetings, and record company meetings and resolutions. They are also more restricted in terms of ownership and reporting. You may have heard of the phenomenon that plagues corporations called “double taxation.” When corporations earn revenue, they pay taxes on the income to the corporation. Then, when profits are distributed to owners, those owners also have to pay taxes on their share of the profits when they file their individual tax returns. LLCs, on the other hand, can opt to be taxed only once, as a “pass through.” This means that the LLC’s profits go directly to its members, who then report their share of the profits (and losses) on their own tax returns. The LLC is known as a hybrid organizational structure. This is because you get the flexibility of a sole proprietorship or general partnership with the liability protection and formality of a corporation. Understanding this flexibility is key to creating an LLC that serves your exact needs. An LLC can be either single member or multi-member. This flexible ownership also allows for adding or removing members as the business develops. Beyond flexible ownership, LLCs also allow for flexible management. An LLC can be managed (meaning, operated on a day-to-day basis) by one or more members, or by a manager appointed by the members. An LLC run by its members is called, “Member Managed,” and one run by a manager is called, “Manager Managed.” Finally, LLCs are also flexible in the way they are taxed. You, along with any other members, get to choose how you want the LLC to be taxed (as a corporation, LLP, or sole proprietorship). We recommend consulting both an attorney and a CPA before choosing how to tax an LLC. The most important benefit that members gain by creating an LLC is liability protection. By registering your LLC with the state, members are given a protective shield between their personal assets and their business operations. This means, for example, that any liabilities or debts owed by the LLC cannot be enforced against the members’ personal assets. There are some exceptions to this protection in circumstances when a member personally guarantees a debt or commits intentional harm. One of the last benefits of forming a business as an LLC is that it brings credibility to your brand. An LLC is recognized as a more formal business structure than a sole proprietorship or partnership. Your customers and competitors will see the “LLC” in your business name and see you as a serious business. Before diving into your business, it is important to understand all of the legal and tax implications of the entity structure decision. Based on your unique business goals and financial situation, an LLC may be a great fit or a poor choice for your company. To help you work through this decision, we would like to offer you a FREE 15-minute phone consultation with an experienced business attorney. Click here to get on the schedule and get going!